Widest range of racks available on the market. This program puts an extensive spectrum at the designer especially in the field of high quality racks which solves just about any application requirements presented. Milled racks, racks with hardened and ground teeth, integratable racks for guides. 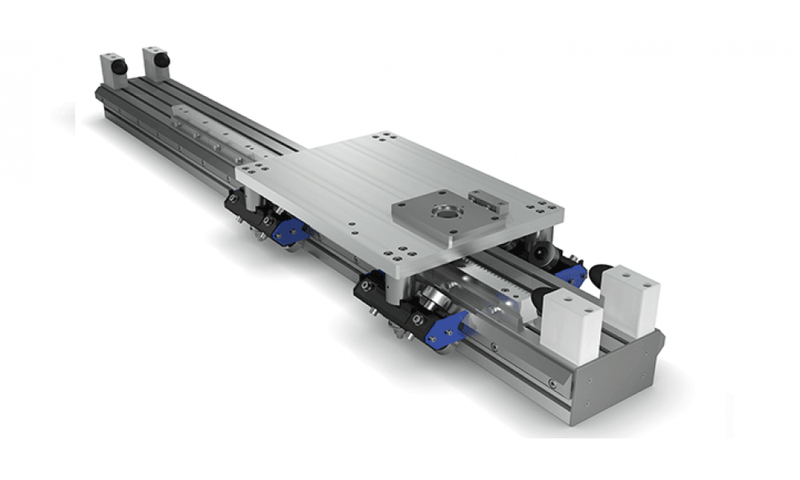 Our tecline linear system range is suitable for the handling of loads from 10 up to 1000 kg, by manufaturing one or more axis systems according to the customer requirements. Our main application fields are: robotics, palletization, production line, logistics and manufacturing machines with Cartesian axis movements. 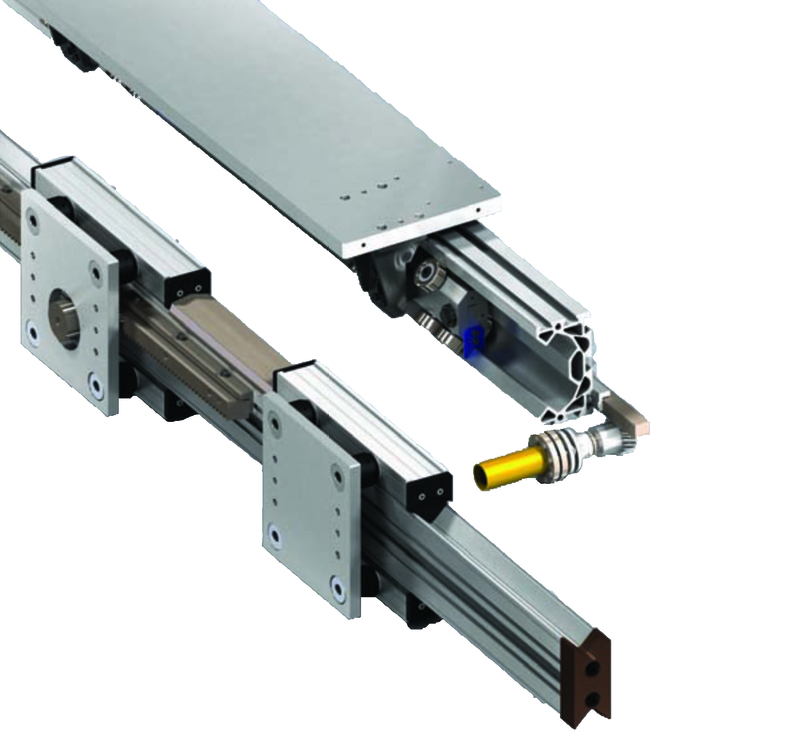 The Sys linear transfer system consists of higher mechanical performances aluminium alloy rail with deepanodising surface and light alloy extruded roller slides. 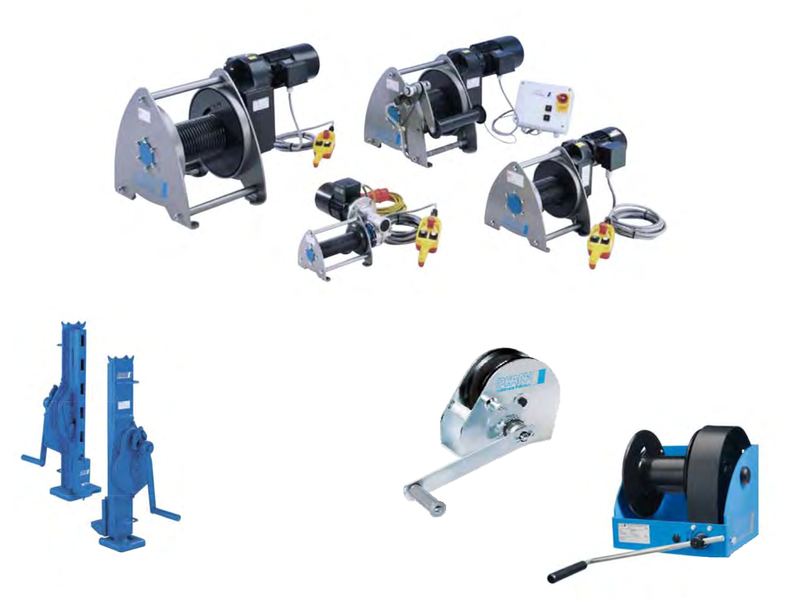 Applications such as handling units, Cartesian robots and lift and shift systems are implemented in the following sectors: wood working industry, body in white welding lines, white goods industry, piping and sheet metal working industry. The steel jack is standard equipment for tool and machinery shops, contractors, shipyards, agriculture and workshops: our steel jack with fixed lifting claw can be delivered with different types of hand crank for lifting the jack shaft along the rack. It offers a very long service life due to its high quality spur gear, precise worked crank gear as well as additional worked pawl. The steel jack STW-F is a masterpiece of technique and price/performance ratio. Lifting capacity to 10 tonnes, 8 frame sizes, stroke 300mm. 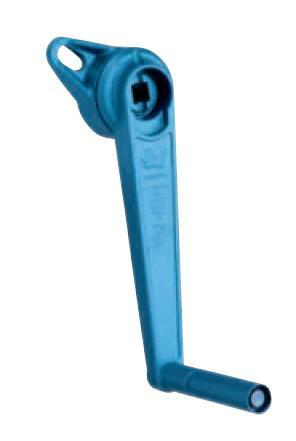 Various crank handle options to suit your jacks.